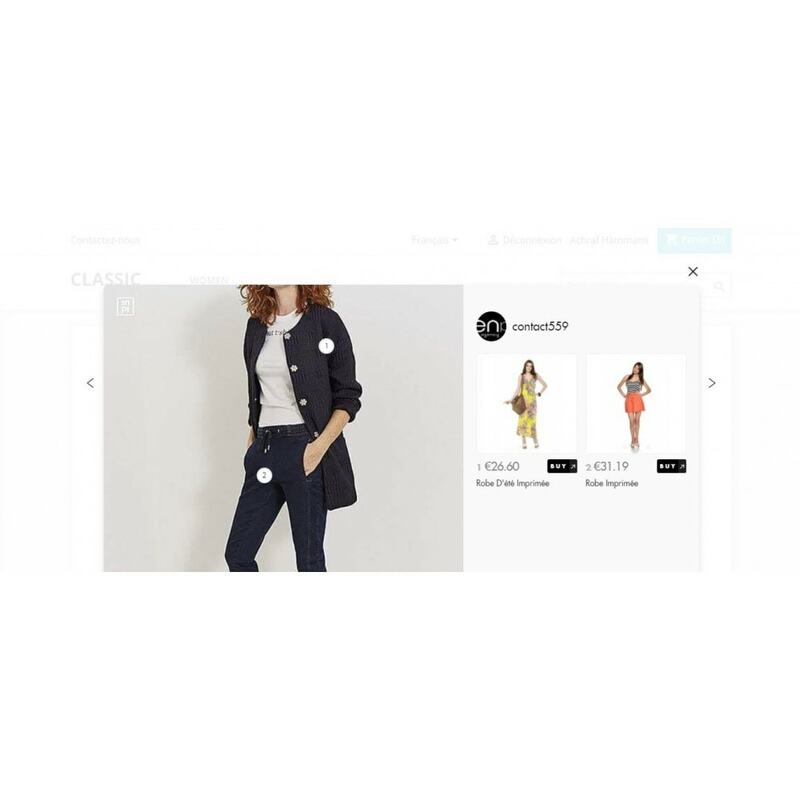 Snapppt is a Instagram shop Module that turns your Instagram images into picture perfect shoppable links. 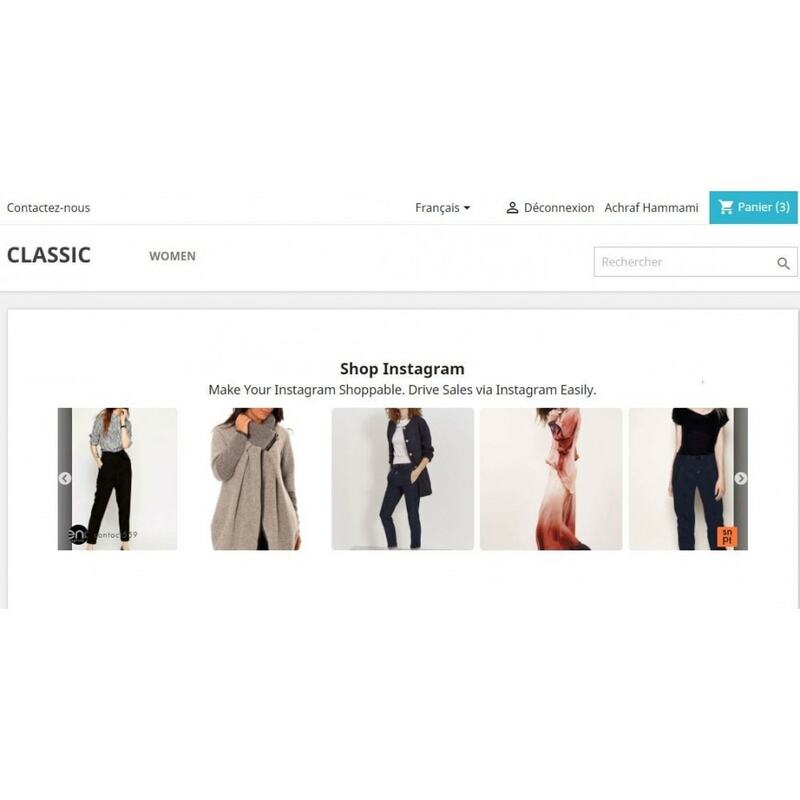 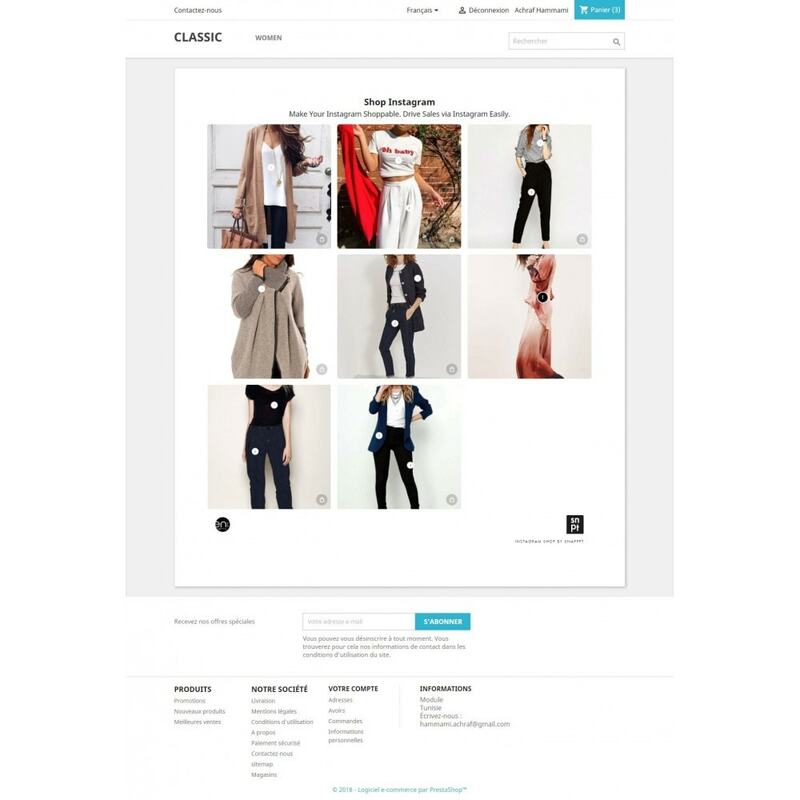 Built to integrate seamlessly with Prestashop , Snapppt’s Instagram shop is changing the way your customers discover and shop your products from your Instagram feed and in your store. 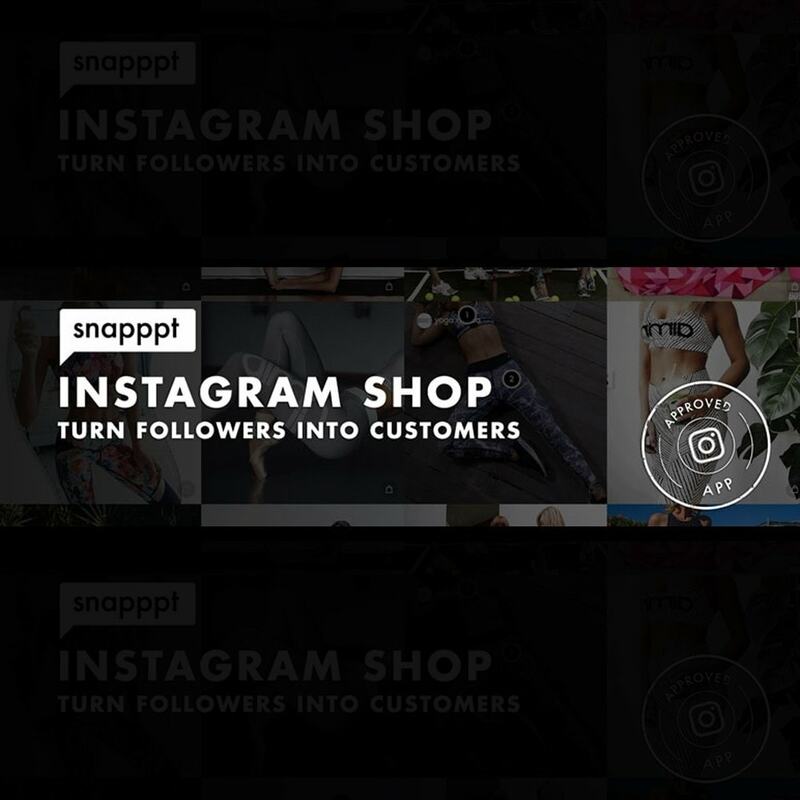 Used by a growing number of over 3000 brands Snapppt’s instagram shop has statistically shown to provide store owners and developers with an average 270% uplift in sales conversion rates. 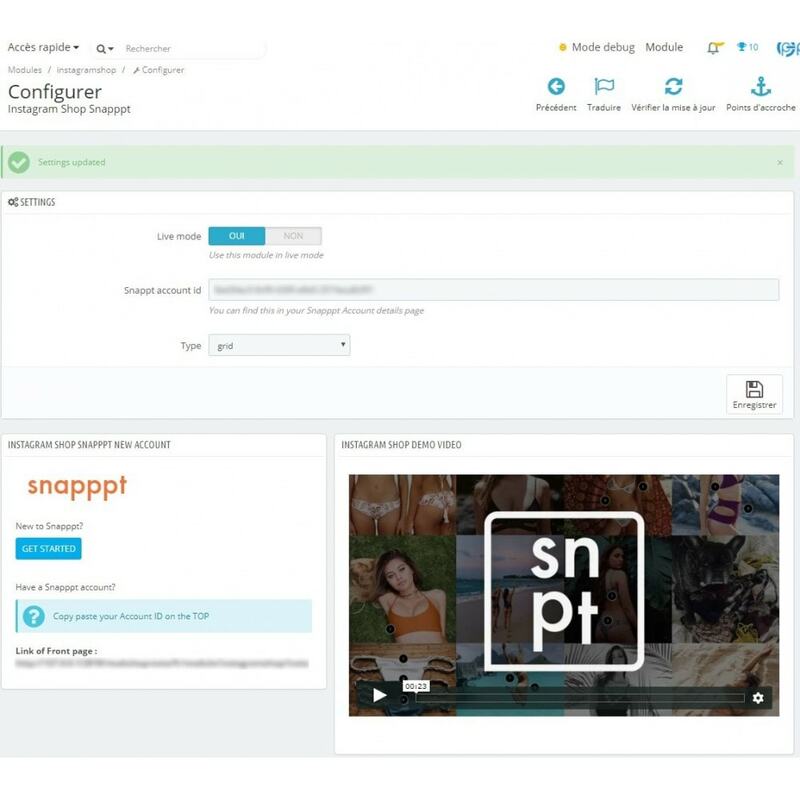 Instagram photos displayed and linked to products via the Snapppt plugin, your embeddable shoppable Instagram feed or, an expanded shoppable product card results in 3% - 11% sales conversion rate. 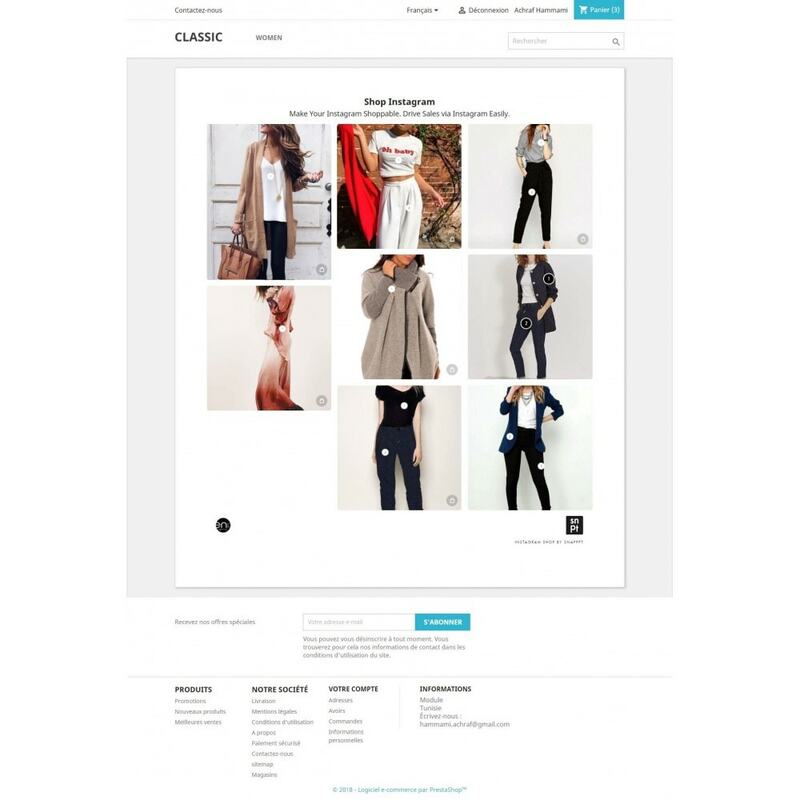 · Plug & play with Prestashop - Easy to use and setup takes only 3 minutes!